Months, if not years, go into the planning of a movie. Screenwriters pen scripts, producers secure funding, casting agents find the right talent, costumers create the perfect clothes, and then directors pull it all together and get the footage on film so editors can make a cohesive, entertaining product. And then film production and distribution executives get to work on getting that movie to theaters, working out deals with different chains so the movie opens in thousands of multiplexes across the land all on the same day, several months hence, with that date emblazoned brightly across the movie's marketing materials. It's almost across the finish line and then… something happens that prevents the movie from reaching eyeballs when it's supposed to. There could be trouble with the star, or the distributor pulls out, the filmmakers get into a tiff, or real-world events make the film seem suddenly tasteless, to name but a few examples. Here's a look at some movies that were shelved and saw their initial releases canceled mere days before they were supposed to light up movie theaters. Imagine the decades-spanning saga of The Godfather, only it's based on the life story of a real guy: John Gotti, the notorious head of the Gambino crime family. And what if that movie starred a household name like, say, John Travolta? That sounds like a hit, but that's not what happened with Gotti. Just ten days before its initial Dec. 15, 2017 release date, distributor Lionsgate pulled the movie because, according to Deadline, the producers wanted a big push and found out it was only getting only a modest release, so they exercised an option to buy it back at the last minute. Producers had to find a new distributor, and the film eventually saw a small theatrical release — the exact fate the producers wanted to avoid months earlier — in the summer of 2018. 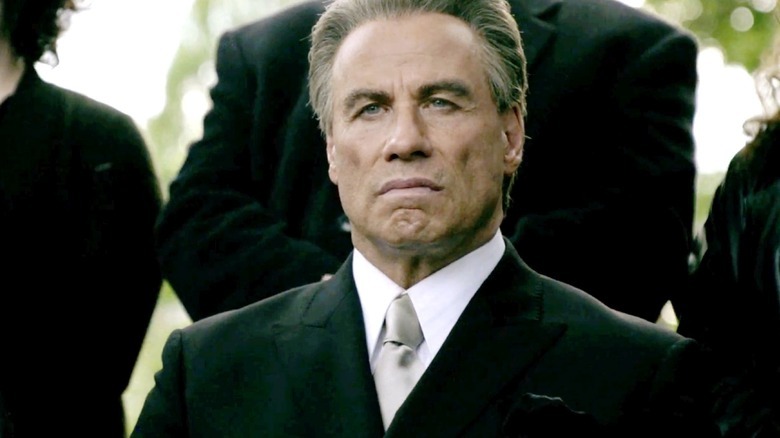 Did Gotti finally receive the Oscar buzz that (on paper, at least) it should have enjoyed? It did not. Critics savaged the movie, leaving it with a rare 0 percent rating on Rotten Tomatoes. Even Travolta's famously poorly received sci-fi epic Battlefield Earth mustered a 3 percent. The Interview promised another well-made, eyebrow raising comedy from Seth Rogen and Evan Goldberg, the same guys who also brought us Superbad, The Pineapple Express, and Sausage Party. But it instead of the duo's usual stoner jokes, gross-out humor, and low stakes, it offered an ambitious and pointed satire about a TV producer (Rogen) and a talk show host (James Franco) recruited by the U.S. government to travel to North Korea and, under the auspices of an exclusive interview, assassinate Kim Jong-un (Randall Park). This understandably made some people with a connection to North Korea less than pleased, and hackers broke into Interview distributor Sony's computer networks and then promised to bomb or destroy any American movie theater that dared screen the movie. The Department of Homeland Security didn't take the threat seriously, but America's biggest theater chains certainly did. 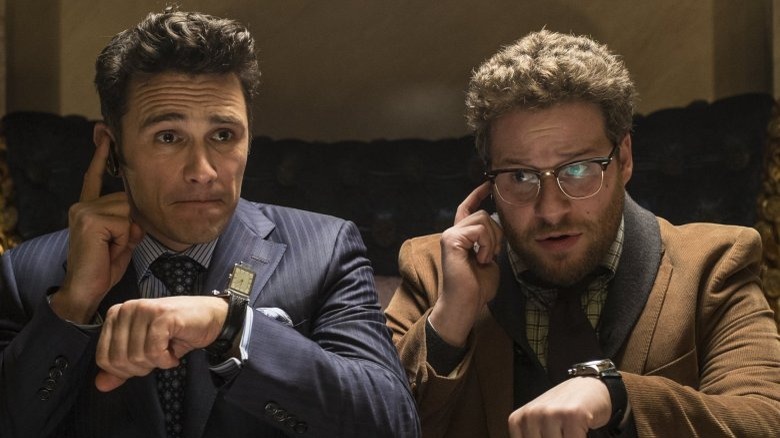 Cinemark, Regal Cinemas, Cineplex, AMC, Bow Tie Cinemas, ArcLight Cinemas, and many more canceled or delayed their plans to open The Interview on December 25, 2014. With next to no one willing to risk property damage and loss of life to show the film, Sony canceled the film's theatrical release entirely on December 17, opting for a direct-to-video rollout instead. The events of September 11, 2001 were obviously catastrophic and deeply tragic. It permanently altered the national and worldwide political climate. Ramifications were also felt — superficially as it may seem — in the world of entertainment. During the days and weeks after 9/11, Hollywood responded by canceling and delaying projects that could remind audiences in any way of those tragic events, particularly films that took place at the World Trade Center, took place on an airplane, or featured plots about Middle Eastern terrorists. For example, a Jackie Chan movie called Nosebleed, in which the star played a window washer at the WTC, was canceled entirely, and an action blockbuster called Collateral Damage saw its release date changed. 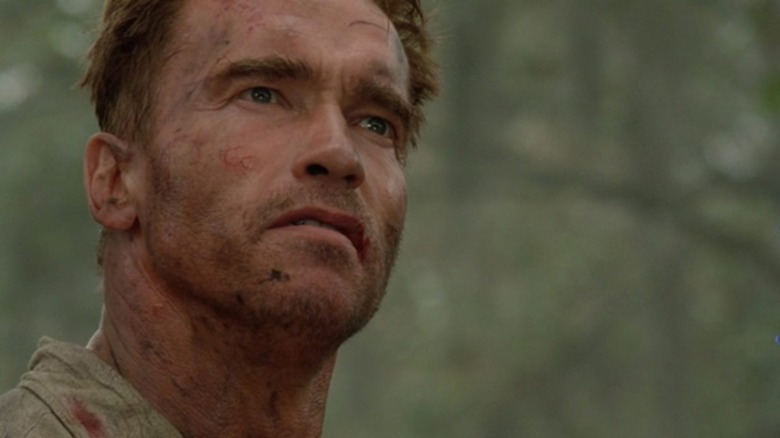 The plot of that movie: Terrorists blow up a bomb in the Colombian Consulate in L.A., and it kills lots of innocent civilians, including the family of a firefighter (Arnold Schwarzenegger) who vows revenge. In the wake of 9/11, it was probably wise for distributor Warner Bros. to push the movie from its imminent release in October 2001 to February 2002. Not too long after the real-life horrors of 9/11 pushed back the release dates of movies to avoid appearing tasteless and heartless, another tragedy led to a movie distributor putting off exhibiting a movie whose premise bore an uncomfortable similarity to frighteningly violent current events. 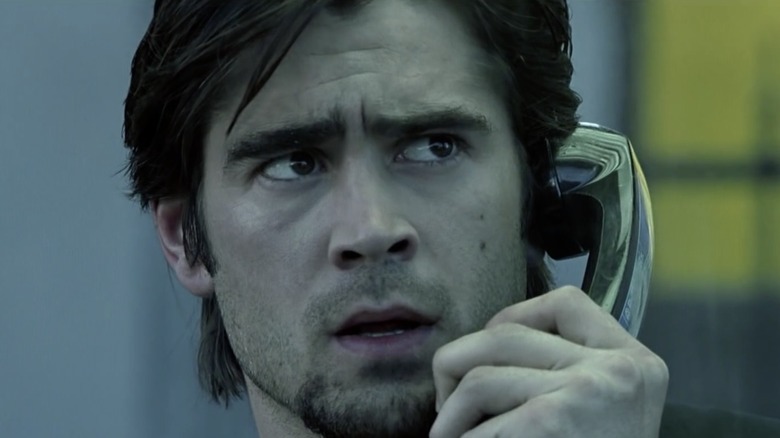 Phone Booth, an innovative thriller about a terrorist harassing a man (Colin Ferrell) and forcing him to do his bidding over a public telephone — or innocent people would be shot by an unseen sniper — was set to hit movie theaters on November 15, 2002. But in mid-October 2002, just weeks before Phone Booth's release, attackers nicknamed "the Beltway Snipers" terrorized the Washington, D.C., metropolitan area, seemingly shooting and killing individuals at random. Distributor 20th Century Fox decided to delay Phone Booth's arrival in movie theaters to February 2003. By that time, the Beltway Snipers were apprehended, and the uncomfortable connection to the movie largely forgotten. More than 20 years after the death of rapper the Notorious B.I.G. (a.k.a. Biggie Smalls, or Christopher Wallace), Hollywood decided to delve into the mysterious murder. First, the USA Network aired a 10-episode miniseries titled Unsolved: The Murders of Tupac and the Notorious B.I.G. A few months later, City of Lies was supposed to hit movie theaters nationwide. Based on Randall Sullivan's book LAbyrinth, the film starred Johnny Depp as Los Angeles Police Department detective Russell Poole, who worked on the murder investigations of Notorious B.I.G. and takes another look at the case 20 years later. 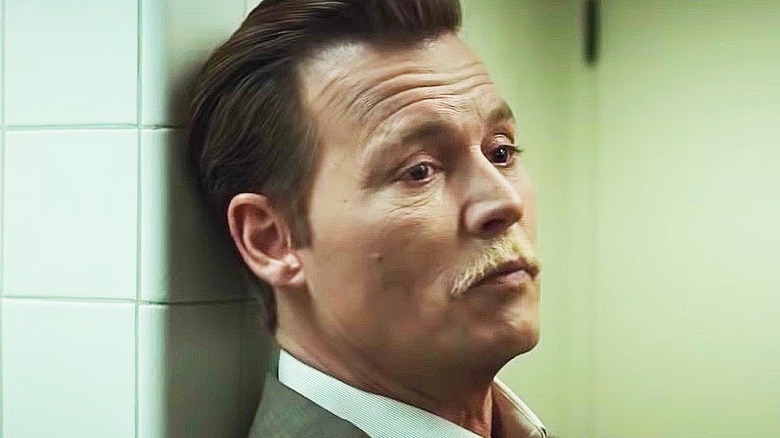 Certainly, plenty of Biggie, Depp, and murder mystery fans were ready to see the movie on its scheduled arrival date of September 7, 2018… until City of Lies distributor Global Road Entertainment canceled the rollout roughly 30 days beforehand. Envelope-pushing content? A desire to not go virtually head-to-head with Unsolved? The distributor didn't provide a reason, but it may have had something to do with Johnny Depp. 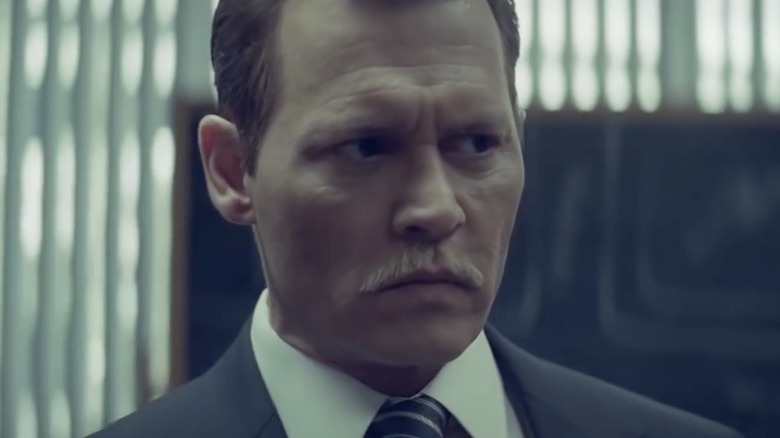 A few weeks before the delay, City of Lies location manager Greg "Rocky" Brooks filed a lawsuit alleging that Depp verbally and physically him on set. That was just the latest troubling Depp news, as earlier in 2018 he'd settled a multimillion-dollar fraud suit against his business manager and faced allegations of domestic abuse during divorce proceedings from his former wife, actress Amber Heard. 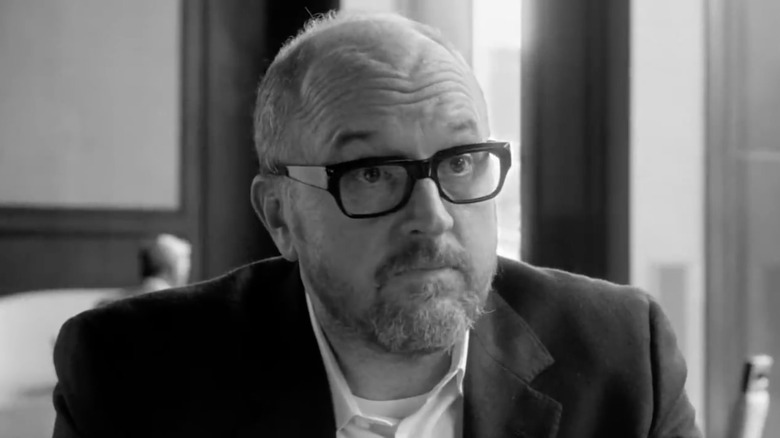 After developing his filmmaking skills as the writer, producer, and editor of the acclaimed series Louie, comedian Louis C.K. was set to show the world a full-length film in late 2017 called I Love You, Daddy. With a debt to the classic films of Woody Allen, the movie had a similar plot to Manhattan in that it was about a middle-aged man entering into a relationship with a teenager. It was never released, owing to some shocking allegations about the filmmaker that emerged shortly before it was set to arrive in theaters… as well as a confession. In an article published by the New York Times, five women accused C.K. of sexual misconduct, alleging that he forced them to witness a solo sexual act. Rumors about C.K. doing just that had circulated around the comedy world for years, but this news broke it wide open — as did C.K. confirming to the Times that "these stories are true." I Love You, Daddy was scheduled for a premiere the night the Times published the allegations, but it was immediately canceled. The film was set to roll out nationwide a week later, on November 17, 2017, and that never happened either. That's all for the best if you ask Chloë Grace Moretz, who starred in the film. Asked about its shelving the following year, she shrugged, "I think it should just kind of go away, honestly." Tulip Fever is a story of forbidden love set against the rise and spectacular fall of the tulip speculation market in 17th century Amsterdam. Despite the interesting plot and a cast that included Alicia Vikander, Christoph Waltz, and Cara Delevingne, the Weinstein Company got cold feet about releasing the movie multiple times. It finished filming in the summer of 2014, and the distributor started to promote it at the Cannes Film Festival in May 2015, shortly after Vikander became a star thanks to her work in Ex Machina. A planned release for later in 2015 never materialized, but in 2016, Tulip Fever got a firm release date of July 15. A week prior to that date, however, the Weinstein Company pushed things way back to February 24, 2017 — and then, about a week before that date approached, the distributor pulled the movie off its release calendar altogether and the film popped up in May of that year for a test screening. Tulip Fever quietly received a modest theatrical release in August 2017 — and tanked hard, suggesting the studio knew exactly what it had on its hands. Audiences almost always love a good global disease outbreak movie. And why not? Films like Outbreak and Contagion offer highbrow horror with lots of science and action, as well as extremely high stakes and usually a big ensemble cast with lots of famous faces. In 2015, a movie called Patient Zero was set to join that canon, until Sony Screen Gems decided to delay its release. 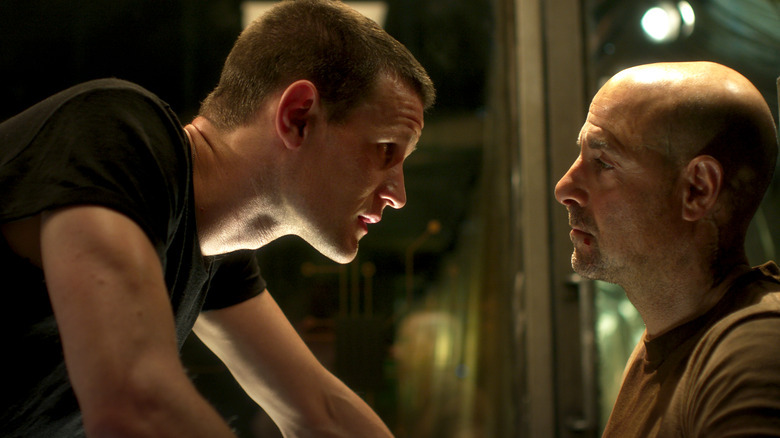 The movie, starring Matt Smith of Doctor Who and veteran character actor Stanley Tucci in the story of a virulent strain of rabies that turns the vast majority of humans into bloodthirsty killers, was set to hit theaters in February 2017. But just three weeks before Patient Zero was set to thrill and terrify audiences, Sony Screen Gems canceled a media push and took the film completely off its schedule. In August 2018, the film finally reached viewers — at least the ones who knew where to look — with a barely publicized release on streaming platforms and video-on-demand.